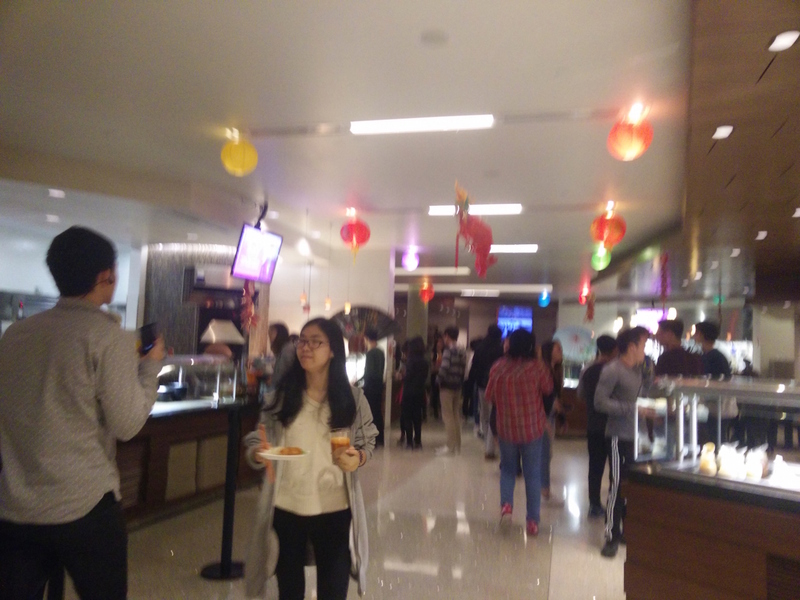 On February 3, a few nights before Lunar New Year, UCLA Feast at Rieber held a special Lunar New Year dinner that featured different kinds of food that East Asian cultures eat during Lunar New Year. As people entered Feast for their delicious dinner, staff from Feast passed out sticky notes and pencils for people, who were waiting in long lines, to write down hopes and wishes for the upcoming New Year. 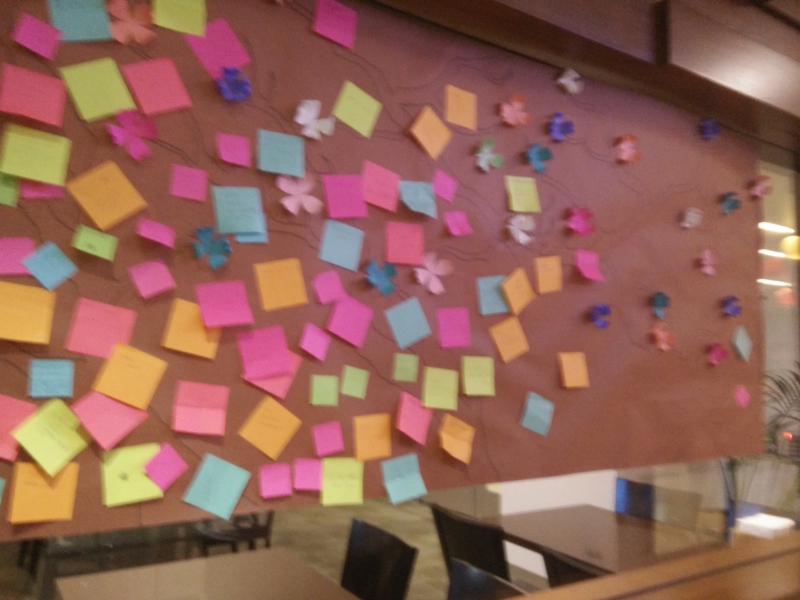 After entering Feast, people could post their sticky note on a brown butcher paper, which symbolizes a wishing tree. Wishing trees can be found in cultures throughout the world, but for East Asian cultures, people typically write down their wishes and hang them on the branches. In China, wishes are tied to small oranges or another auspicious substitute, and are thrown up to hang on the wishing tree branches. 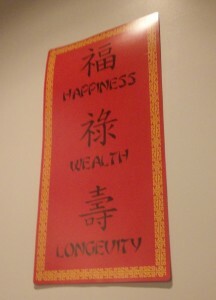 It is believed that if the wish successfully hung on the branches, the wish will come true, and that the higher the branch, the more likely the person’s hopes will be fulfilled. Inside, Feast had many New Year decorations such as lanterns and Chinese zodiac animals — especially monkeys since it is the year of the monkey! 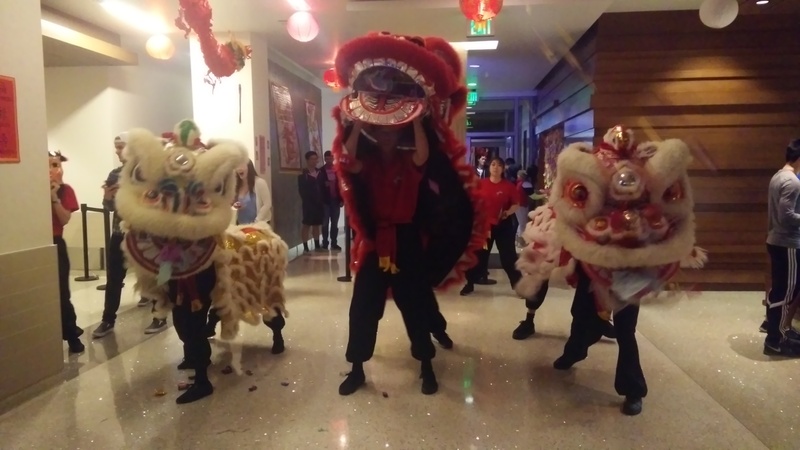 In addition to the festive atmosphere and mouth-watering food, Feast also arranged a lion dance performance by the ACA Lion Dance Group. During the Lion Dance, performers (lions) went up close and personal to students for fun, playful interactions that are supposed to bring good luck. 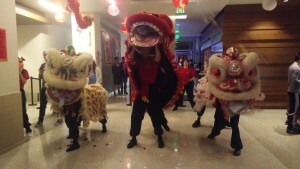 Lion dance has been a Chinese tradition for thousands of years. Common folk lore says that the performance was originally to scare away the New Year Monster that appears on New Year’s eve and devastates crops. Now it is performed not only during New Year, but also during festive events and holidays. 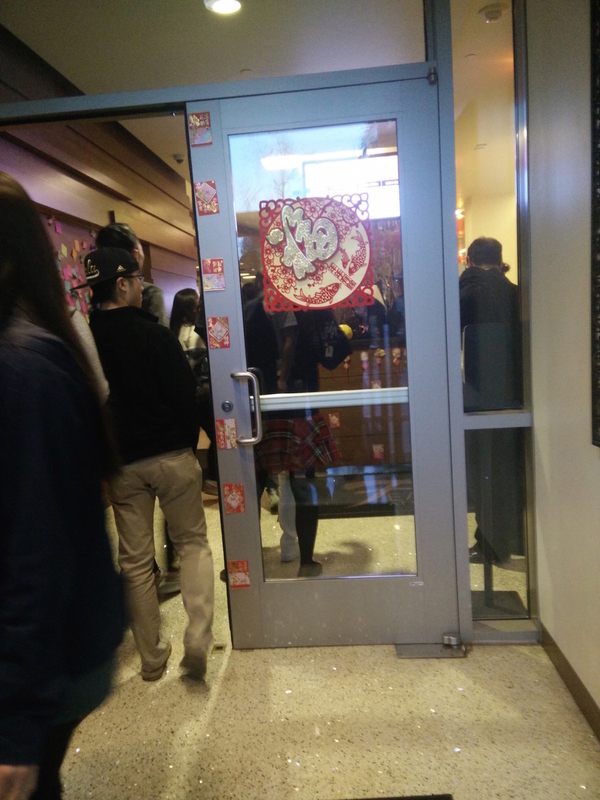 Overall, Feast’s special Lunar New dinner not only caters to student’s stomachs, but also offers an opportunity to discover and learn more about East Asian cultures on and off the plates. However, the dinner would have been more successful if Feast featured more traditions or customs of East Asian countries other than those of China — especially since there is already the common misconception that Lunar New Year is Chinese. 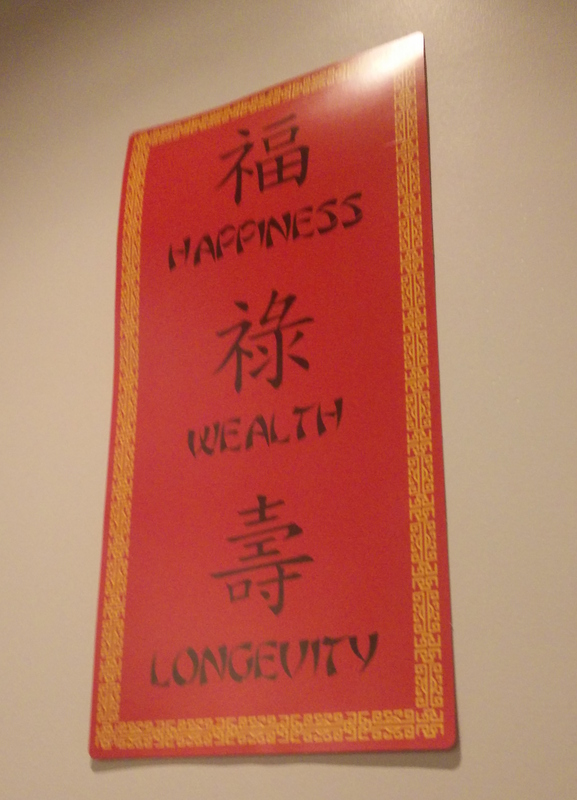 While China has many rich Lunar New Year traditions, it is also important to understand that Lunar New Year is also celebrated by other cultures. Nonetheless, Feast was able to include other cultures though the variety of food offered, but the experience has room for improvement. PreviousPrevious post:Revisiting Private Danny Chen, the Subject Behind the Opera, ‘An American Soldier’NextNext post:Q&A: How do Chinese American Students Celebrate Lunar New Year?